Katharine Houpt, MAAT, ATR-BC, LCPC is a therapist providing art therapy and counseling for adults in an art studio in the East Rogers Park neighborhood of Chicago, and in-home art therapy for people living with dementia. Whether you consider yourself an artist or not, you can make art in order to understand your experiences in new ways. Sometimes you don’t feel like talking. You can draw, paint, collage, sculpt, weave, sew, film, puppeteer, perform, or write what you need to say. As a registered art therapist (ATR) and licensed clinical professional counselor (LCPC), I pride myself on collaborating with my clients to make creativity accessible, understand psychological, cultural, environmental, and societal aspects impacting identity, and identify strengths in artmaking as well as in life. I meet with adults in an artist's studio in Rogers Park, and people with dementia in their homes. I also provide ATR and LCPC supervision and consultation, training, and workshops. 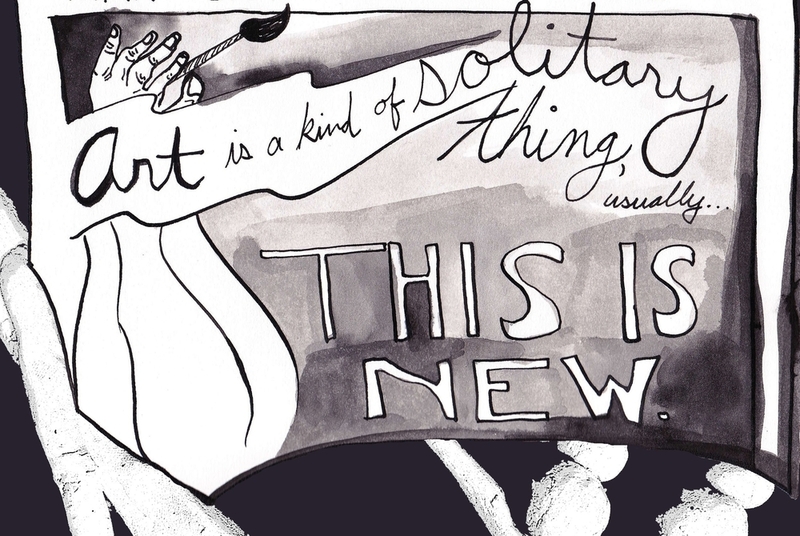 Art therapy is similar to talk therapy, except it involves more than words alone. You don't have to be an artist to participate in art therapy. Have you ever had the feeling that you wanted to express something but couldn't find the words? Art therapy provides the opportunity to communicate in a new way, to understand yourself and your environment more deeply than conversation can allow. I am trained in both counseling and art therapy. We will work together to find the balance between talking and artmaking that best fits your goals and interests. I am an artist, art therapist, and counselor. I believe life can be enhanced through connection. This may mean connecting through your own artwork, through various types of relationships, or through sharing your work with the public to affect change. Whatever you are going through, I will listen and help guide you to unpack it using the art process. Call 872.216.0658 to discuss whether we may be a good fit.